Experience is the best teacher. For the many movies, books, plays and, school curriculum’s that offer you the history of civil and human rights to empower and enlighten you, nothing can quite compare to actually EXPERIENCING it. 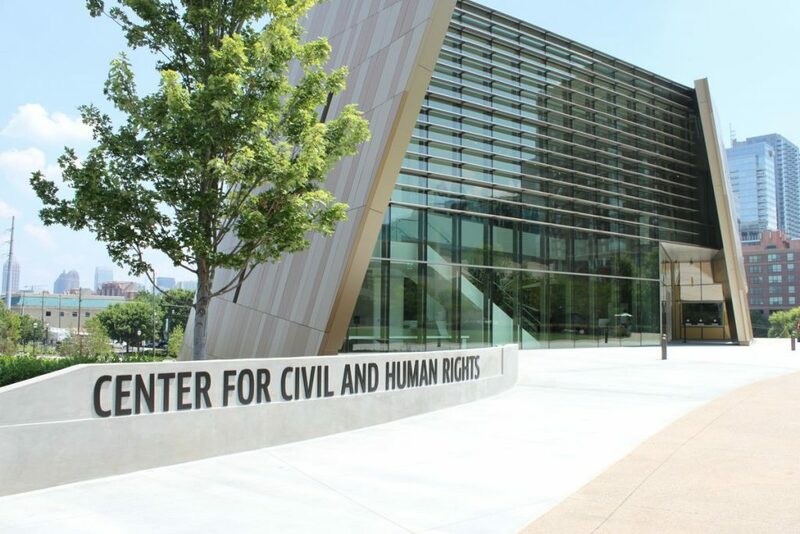 What The National Center of Civil and Human Rights (NCCHR) offers is bridging the gap between what you thought you knew and what your NEED to know. Upon entrance of one of three floors, you are immediately thrusted back into the segregated south. Imagine that? You, a African- American progressive, successful, smart phone toting and, endless possibility forward thinker are now NOTHING. The NCCHR connects you directly to your past. This experience is awesome for everyone! But the one group of individuals that I feel will gain SO MUCH is anyone born from 1980 and on. Let’s face it. WE are removed from our past. That’s what I loved about the NCCHR. It totally transferred me back to a time where being who I was, was considered a death ticket. 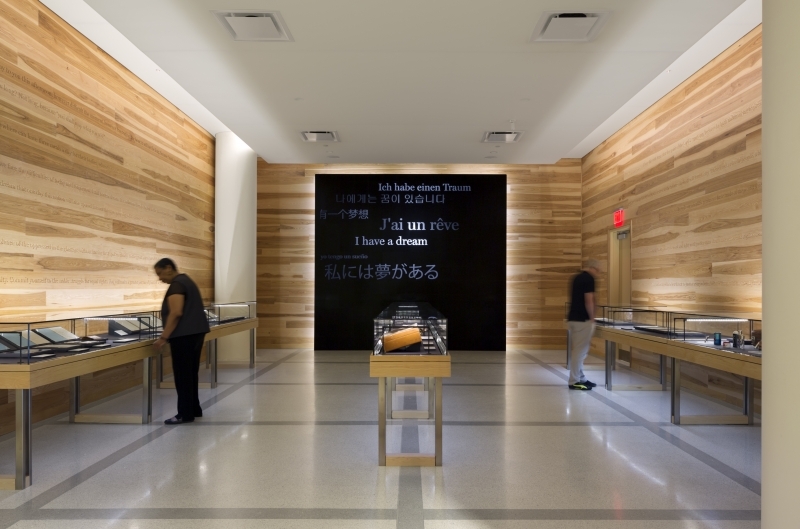 At the NCCHR you can engage, read, view, sit, touch, and feel every bit of what the Civil Rights era meant. Oh, and the experience doesn’t just stop at the Civil Rights movement. The NCCHR totally brings you up to speed on all past and current social injustices around the world today. Are we numb or have we just moved on? I believe there may be a false sense of progression today, because we have been able to go for our dreams, earn a living and, basically re-write our own narrative of success. The only caution to the wind is, this is total “blinders behavior “and approach. It is an honorable and triumphant thing to know that our forefathers and mothers fought to give us the rights and freedoms we have today. But the way we pay it back is not just by being successful in our rights, but to also continue to learn, and pass the knowledge down to the next generation. It isn’t enough to just be successful and also empower others to do so as well. You also have to share the knowledge of the past and current state of human rights. To ensure that the legacy is not lost on the backs of both civil and human rights leaders and change agents of the world. While experiencing the NCCHR, it was BLATANTLY clear, that the resources, knowledge and, tools of strategic non-violent and community/communication may have become a lost art. At the NCCHR I absorbed that there is massive gap from yesterday’s triumphantly bold response to social injustice versus, today’s riot and hashtag. The Civil Right movement was long, hard and, strategic to say the least. Because of this thoughtfulness, it brought change. Today’s movement is lacking order, support, and leadership. It’s not just African American’s who have grown somewhat disconnected, but all races too. During Civil Rights movement, all races collectively, fought for social change and gave a voice to the voiceless. I totally get it now. 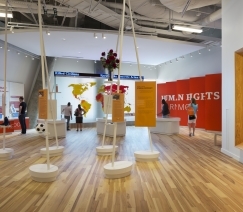 If this museum connected those dots for me, imagine how it will continue to help connect every person of any color that purchases a ticket. I learned that I in fact, have been oblivious to not just African American rights but the rights of LGBT, women, immigrants, etc. But the truth of our world today is that history is still being made across the globe. The kind of history and devastation we have read about and learned about (i.e. slavery, segregation, The Holocaust, Apartheid, etc.) is still happening today! While you make your own singular and self-serving plans, many are dying (Syria, North Korea, and America) and you may or may not even know how that impacts your own freedom. You may just hear about it as a quick soundbite on the news, or Social Media. But just because it has been watered down by some hashtag or some news station with their own agenda, doesn’t mean it is not happening. I also learned more about my own ethical footprint and how my choosing to buy a candy bar at my local grocery, impacts child workers harvesting cocoa pods as slaves in poor and near death conditions in Western Africa. Dr. Martin Luther King Jr. – simply put it “An injustice anywhere is a threat to justice everywhere.” Long story short you need to make this trip to The National Center of Civil & Human Rights. In the fast paced world we live in, this is one of the smartest ways to connect, learn and INGITE something in you that will move you to do more in sharing our legacy of civil and learning the current struggle of human rights. You will learn what you can do today to help and get the knowledge delivered to you in one of the most profoundly engaging and empowering way. You get to view the actual papers written by Dr.